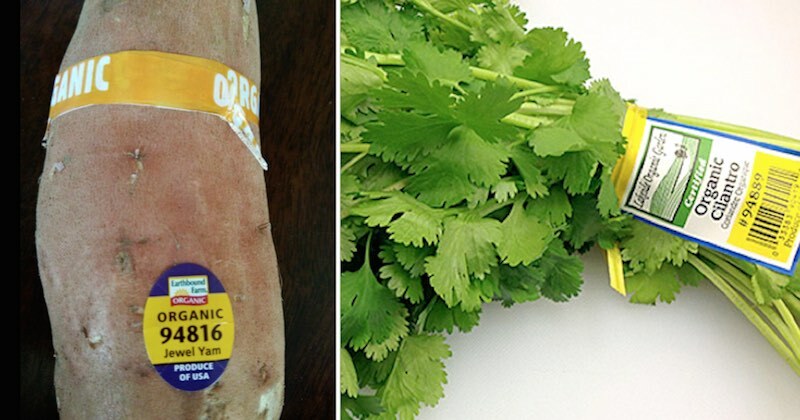 Although they seem like a nuisance, the stickers or labels attached to some fruits and vegetables have more of a function than helping scan the price at checkout. The PLU code, or price lookup number printed on the sticker, also tells you how the fruit was grown. By reading the PLU code, you can tell if the fruit was genetically modified, organically grown or produced with chemical fertilizers, fungicides, or herbicides. A 5-digit PLU code starting with the number “3” means the produce was irradiated (electronically pasteurized). If there are only 4 digits in the PLU and they begin with a “3” or “4”, it means that the produce was grown conventionally or “traditionally” with the use of pesticides. The last four digits of the PLU code are simply what kind of vegetable or fruit. An example is that all bananas are labeled with the code of 4011. A PLU code beginning with a “6” identifies pre-cut fruits and vegetables. 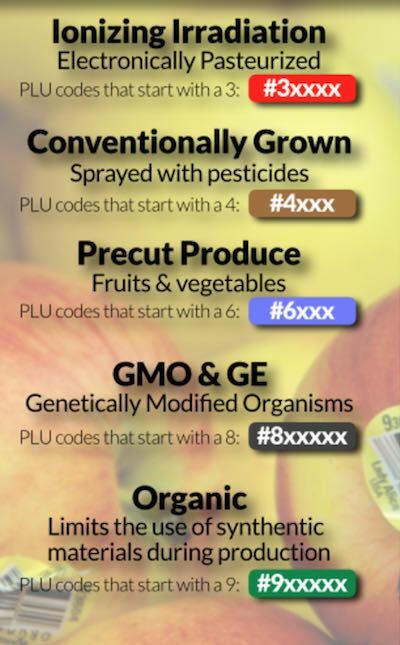 If there are 5 digits in the PLU code, and the number starts with a “9”, this tells you that the produce was grown organically and is not genetically modified. An organic banana would be: 94011 (see image below). No sticker? You may come across produce that have no sticker, is this any better? No, actually it might be suspicious, unless you know for sure where they come from (for example at the farmers market). Imported fruits and vegetables are always labeled. If there is no sticker, chances are that they have been removed for some reason and may be for dishonest reason! How to remember these? Here’s a simple graph to help you remember. Still can’t remember? Think of it this way … “8 you hate” and “9 is fine”. The PLU system is voluntary and based on business needs. It is not regulated by a governmental agency. Specifically, no regulatory body requires a PLU sticker on loose produce. 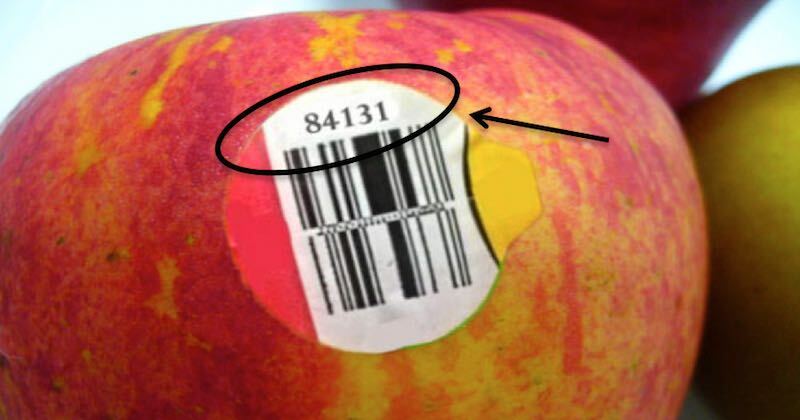 Labeling produce with PLU codes are typically required by the retail industry to assist with point-of-sale (POS) identification. In various countries, most medium to large retailers expect a PLU as part of conducting business. This is full of crap. Organic foods isn’t healthier or better for the environment. Organic also uses pesticides, many of which are more dangerous than the ones used in conventional crops. The “organic” label is just a marketing scam. Many organic foods have also been genetically-modified. In fact, many foods that we’ve eaten for generations have been genetically-modified.